Last week the Prime Minister (PM) visited Houston and met with BP, Shell and others. Following the meeting his office announced that BP was planning to invest US$ 5 billion in T&T in the next five years. This is nothing new, comes as no surprise and is the continuation of an investment trend that started in 2012. In fact, in the last five years (2012 to 2016), BP invested US$ 5.5 billion in T&T. BP’s plans to invest US$ 5 billion in the next five years is therefore not earth shattering news to anyone who remotely follows the energy sector in T&T. It was also surprising to see that there were some who believed that the PM went to Houston, waved a magic wand and BP decided to invest US$ 5 billion here. The international oil and gas business does not operate like that. BP’s heightened level of capital expenditure (capex) in this country started in 2012. In that year, they conducted the first phase of the Ocean Bottom Cable (OBC) seismic survey and drilled the Savonette 4 well which survived sabotage and went on to find one trillion cubic feet of natural gas. BP went from having no rigs drilling in 2010 to having three rigs drilling in 2015. In 2017 the company is drilling two exploration wells (Savannah and Macadamia) after an 11-year hiatus from exploration drilling. It’s also preparing for first gas from Juniper and TROC. These things don’t fall from the sky. In October 2013 when he visited T&T, the BP Chief Executive Office Bob Dudley remarked that because of changes to the fiscal regime we would see increased investments in exploration and development. This means that the BP investment train was well in motion. 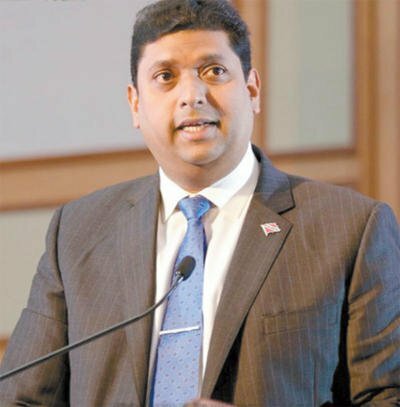 What caused the change in BP’s view of T&T? Firstly, we understood that the fiscal regime had to become more competitive to attract investment and we delivered on the reform by way of legislation. Secondly, we understood that the relationship between BP and the Government was the most important relationship in the country. When I was Minister, it was a relationship based on mutual respect and collaboration. One can only assume that this has continued and no one has since “boofed up” BP. One can only hope. With regard to the fiscal regime that governs our oil and gas business, in the last 20 months, the Rowley administration has made no changes. It follows therefore that investment decisions that are being made are done so in relation to the fiscal regime that was in place in September 2015. In Government talk is cheap and action is a premium. We also heard that the NGC / BP negotiations for a new contract had advanced and were nearing finalization. This new contract is needed for the sanction by BP of the Angelin project. This should have all been completed in late 2016. It’s now April 2017 and this is late. We also heard nothing about whether the BP Angelin platform would be constructed in La Brea. If it turns out that BP decides to construct this platform in the USA, we should not be surprised. On a personal level, I’d love to see that platform built in La Brea but one can understand if BP decides to build it in Texas or Louisiana. The just concluded BP Juniper project suffered no end of industrial relations headaches, protests and disruptions. The OWTU made no secret of their involvement in these events. The net result is the sacrifice of the national interest for narrow sectoral interest. The relationship between BP and the Government is the most important economic relationship in the country. BP and the NGC are the largest contributors to the treasury. BP is the country’s largest investor and the largest producer of natural gas. On the other hand, Trinidad and Tobago is important to BP as it accounts for 17% of BP’s global production volume. Both T&T and BP are locked in a symbiotic dance. This is a relationship that has to be managed. The BP investment train has been moving at high speeds in T&T since 2012. It’s good to see it will stay that way for years to come. It is noteworthy too that the Prime Minister was unaccompanied by the public servants of the Ministry of Energy and officers of the relevant State companies. Why weren’t the senior public servants of the Ministry of Energy part of the delegation? Why wasn’t the NGC taken along? The Prime Minster of Trinidad and Tobago ought not to be discussing business such as the forward drilling plan for EOG Resources without the public servants of the Ministry of Energy being in the room. And what of the NGC? Is business being transacted on behalf of the NGC by the Prime Minister? If so what is the role of the Board of the NGC? Is the Ministry of Energy is being side-lined? In all my international travels to conduct the business of the country, I was accompanied by senior public servants, advisers and officers of the relevant State companies. This trip has caused more questions than answers and the fact that it coincided with the Shell Houston Open golf tournament generates even more speculation.